The game's engineer isn't giving out armor packs anymore. Ever since Overwatch debuted, Blizzard has continued to poke and prod at the game by adding heroes, game modes, maps and making tweaks to existing content to keep players interested. With a game that functions as a funnel toward its professional esports league, balance is key and that occasionally means big reworks to characters who have been seen as residing outside of the "meta" picks to increase the chance of winning. 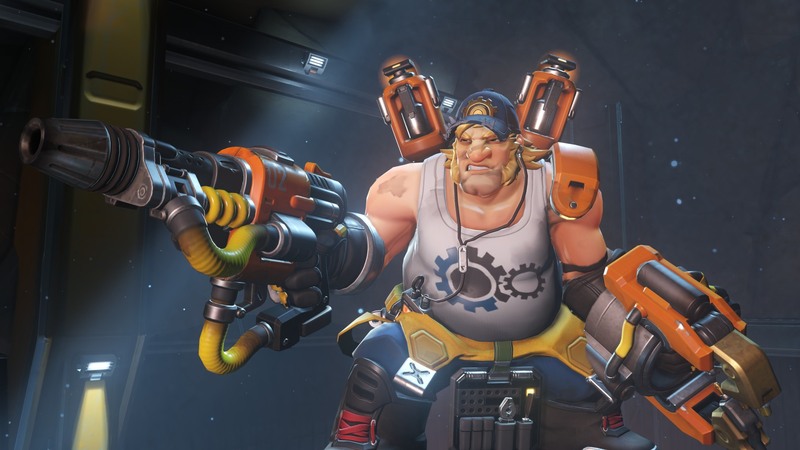 Blizzard already made major changes to one character who saw little use in its competitive modes, Symmetra, and now it's testing a rework for Torbjörn, a Swedish engineer who built turrets and distributed armor to teammates. As described by the team in a video and patch notes, his armor pack and scrap collecting feature has been removed entirely. Also, his turret no longer requires hammering to build or upgrade, since he can just toss it out and it sets itself up, although he can repair it if it's damaged, and a cooldown timer for the ability doesn't start until the turret has been destroyed (either by Torb himself or an enemy). Meanwhile the characteristics of his existing "Molten Core" ultimate have become "Overload," a secondary ability that doesn't impact his turret, but speeds up his movement and attacks (his gun has been updated for more speed and consistency overall) and grants him temporary armor. Finally, his new Ultimate ability retains the name Molten Core, but works very differently. Now it's a bit closer to Wrecking Ball's ultimate, although instead of dropping floating mines, Torbjörn's claw arm shoots out 10 molten projectiles to create a damaging pool on the ground where they land that lasts for ten seconds, with extra damage against enemies wearing armor. That's not the only change being tested however, as many heroes have had the looks of their abilities tweaked to increase clarity, rocket-shooting Pharah got a big update and there's a new, much more customizable colorblind filter now live on the test server. Players can tweak how team colors and player outlines appear in the UI (separately for enemies and friendlies) and save the settings, as shown by Overwatch streamer Kolorblind. As Blizzard attempts to keep this game viable over the years, the team said that right now, its focus is on game balancing and "quality of life" changes, like the colorblind filter and recently-added LFG. Speaking of, the unspecified third social feature that was supposed to join LFG and Endorsements has apparently been delayed, and now is expected to arrive in 2019.